What are Meerkat & Periscope? Meerkat and Periscope are video apps that link to your Twitter account. They allow you to live stream to people across the globe, whether you’re a city dweller or showing the inns & outs of a local business, you can connect with your followers live. The only downside is that both apps are currently only available for iOS users – but all videos can be watched from a desktop or smartphone/Android. Audiences are able to comment on the video they’re watching, see how many people are currently viewing (much like a live YouTube video) and leave their stamp of approval through a heart on Periscope or a like on Meerkat. There’s a great deal of rivalry between the two apps as Perisope is owned by Twitter. As such, Twitter has recently prevented Meerkaters from seeing which of their followers are also Meerkat users. They have, however, skillfully worked their way around this by creating a ‘People You May Know’ list and most popular Meerkatters leaderboard. Periscope has the advantage of listing everyone you’re following on Twitter under the People tab. With this, you can also choose whether you would also like to follow them on Periscope. Similarly to Meerkats Leaderboard, Periscope has a ‘Most Loved’ list of users who have received the most hearts during their live-streams. Bonus, Meerkat automatically tweets a link to your video once the live-stream has started, which instantly connects with your followers. With Periscope, on the other hand, you have to actively choose to share. Although, Periscope saves your videos for 24 hours – allowing viewers to return to the stream. 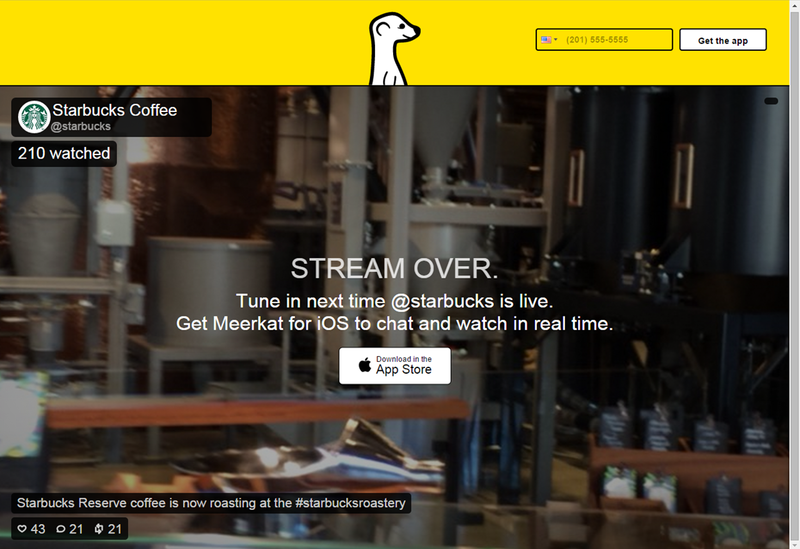 Whilst Meerkat currently only allows your audience to see the live video. There are no reruns. Personally, I think that there will be more rivalry when one of the apps becomes available on Android. As both Periscope & Meerkat are just on iOS – the race is on. Whoever produces an Android app first will have a significant advantage. There will always be people who, for whatever reasons, miss out on events. Haven’t you? And don’t you just hate it when everyone is talking about it and you can’t join in? Well, this can now be a thing of the past – because live-streaming allows you to include the people who couldn’t make it. It really does create a buzz and strengthens your online community because everyone feels included. Live-stream big industry conferences, meet-ups, twitter chats, and let everyone feel like they can get in on the action. 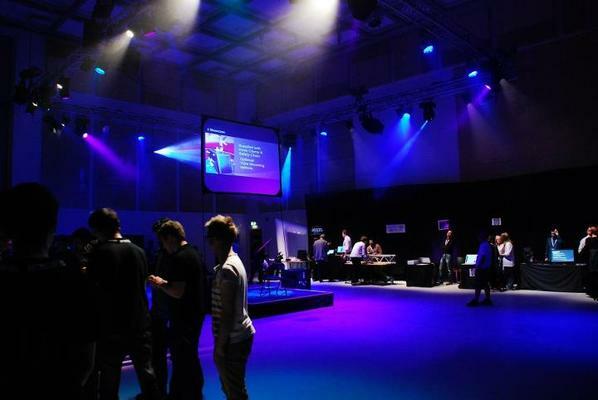 Interview an industry leader or, my personal favorite, give people an insight into the inner workings of your company. What ever your reason – remember to include as many people as possible. After all, just because they cannot be present, doesn’t mean that they aren’t valuable. Give everyone something to talk about next week. If you have a product launch coming up – give your followers the advantage of knowing how to use it straight away. Let them in on the excitement. An advantage of using Meerkat in this instance is exclusivity, once the live stream is done, it’s done! No going back – which my generate more excitement, views and buzz for your brand. Remember, it’s all about including your audience & giving them something to talk about. There may be a sudden shift in your industry, a collaboration that significantly affects your business, or even trends to report. If so, why not share it as it happens? One of the great things about live-streaming is it’s ability to instantly connect you with people who are dotted around the globe. When you include your followers they are able to experience it as you do. You give them an insight into what’s currently happening & ultimately strengthen your brands online presence. There’s nothing like empowering people with up to date knowledge. Be a brand that shares what you know with your audience. I hope that this has been useful! If any of you have used either Meerkat or Periscope please feel free to share your experiences in the comments section below!